OpeMed work closely with Occupational Therapists in the community, nursing home and hospital sectors to specify patient lifting devices, assisted baths, changing tables and associated transfer equipment. From private practices to NHS, Disabled Facilities Grants (DFG) and Case Managers we assist OT’s to provide an optimum solution to their transfer needs. 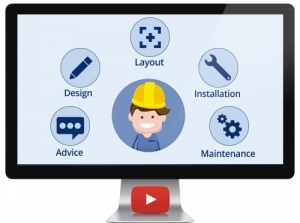 Our understanding of how clients are assessed by OT’s combined with our product expertise helps to provide a solution for each individual. Each product specialist has many years experience at layouts of ceiling hoists, which assisted bath is appropriate and whether a changing table will assist. OpeMed understand that to achieve great results for a client, the equipment must be uniquely specified, comfortable and safe for all involved. 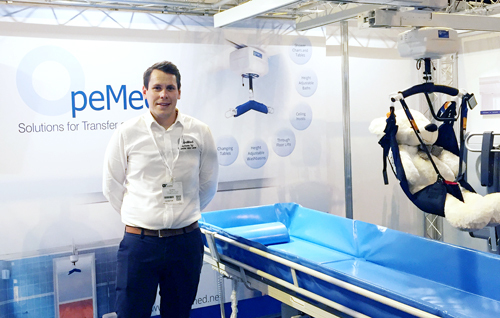 As the manufacturer of patient lifting devices for disabled patients, OpeMed are very close to what the market needs and is able to offer a wide selection of products to meet any specification as well as reducing the end cost to the client. We know that in many cases, this specialist equipment is unknown to the families and end-users. That’s why all our products can be demonstrated and tried out in the domestic environment. We bring our products to you in our specifically adapted vehicles and will discuss options with you and your clients to find the right solution. 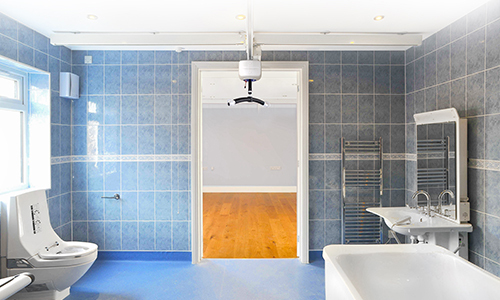 OpeMed Ceiling Hoists, Assisted Baths and Changing Tables are installed in DFG, Case Management, SEN Schools, Nursing Homes and Rehab Centres in the UK and worldwide. Come and see our products in action at the OT Show, OTAC, Kidz North, Kidz South and exhibitions and Occupational Therapist conferences worldwide. For more information, please click the link below or call us on 01252 758 858. When faced with such a diverse range of equipment from many suppliers, working out what is best for your client can be a challenge. 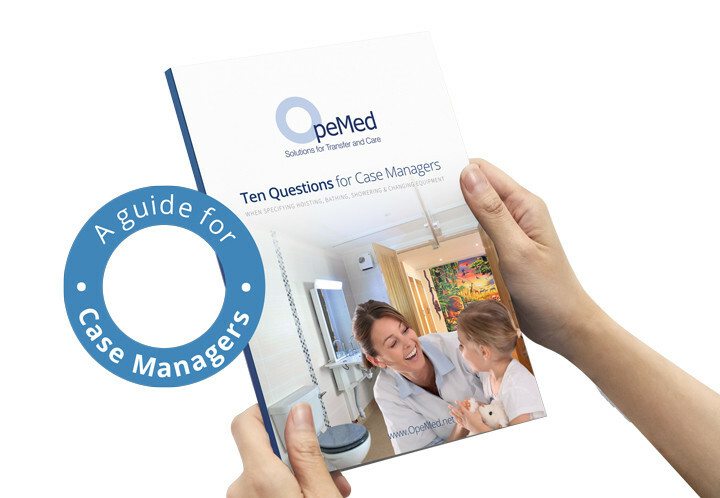 Using our latest guide will help you work through the minefield that can be transfer and care equipment. We understand that there can be many complexities in each case and client so have put together a supporting document asking the questions you need when Specifying Hoisting, Bathing and Changing equipment.